What are the benefits of dump bins for shops? 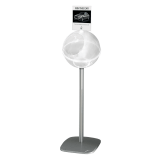 Dump bins let you present impulse buys or promoted items to customers in areas where they'll dwell or walk through. They're a tried and tested way of using POS to increase your sales and really encourage customers to buy items they probably didn't intend to buy before they entered your shop. Where should I position my dump bin? We would always recommend experimenting and moving your dump bins around until you find the perfect spot. 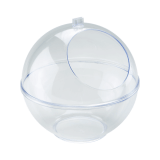 They're particularly good for using around aisles and in areas where customers queue. Get the product and the placement right and you could find your sales rocket. Where can I use a dump bin? Dump bins are typically either floor standing or counter standing. The wire floor standing dump bins are great for food and drink, especially things like wine, crisps and chocolate which can tempt anyone who popped to the shop to buy milk or bleach! 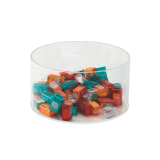 The smaller counter standing dump bins are perfect for smaller items, from sweets to makeup. What styles of dump bin are available? 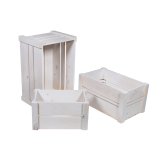 There are three main styles of dump bin available - wooden, wire or plastic. 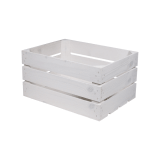 Whether you have a modern retail store or one with a more rustic feel, we have a dump bin in our range which should fit in well with your store decor and help you boost your sales.